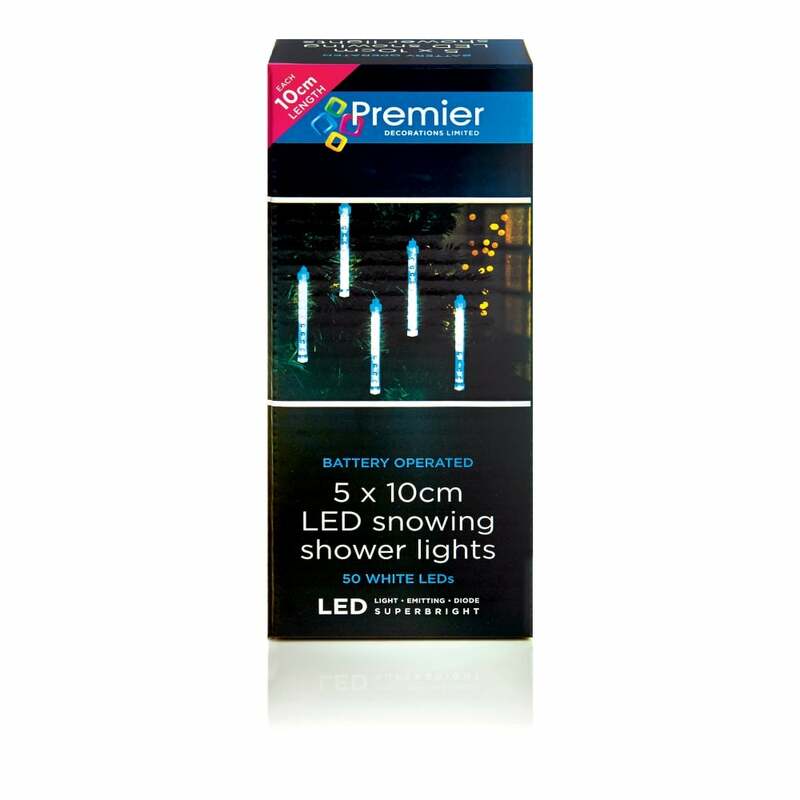 Premier Decorations set of 5 acrylic festive snowing shower lights which incorporate 50 white LED's. This super practical battery operated icicle light set can be used indoors and as there are no wires to consider, it can be placed anywhere in your house or draped over trees as required this Christmas. The LED's illuminate to simulate water dripping from icicles when illuminated. This Battery operated Christmas icicle set has a product code of LB141697.